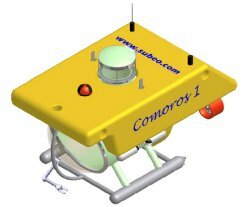 SUBEO Ltd., a UK company was formed in 1993 to develop small state-of-the- art underwater vehicles. The managing director and founder of the company Robert Leeds, designed the first concept vehicle Gemini. Robert Leeds has a background in Structural Engineering and Marine Work. 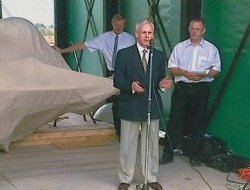 Other members of the development team used their expertise in system engineering, GRP fabrication, hydraulics, pressure vessel fabrication, life support engineering and general mechanical engineering to manufacture the vehicle, which was launched in August 2001. The ceremony of the launching and naming of Gemini, was performed by Commodore David Russell, Deputy Flag Officer of the Royal Navy. Commodore Russell had a few days earlier returned from Russia where he had been leading the Royal Navy rescue team to the KIRSK disaster. 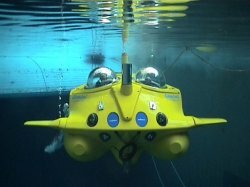 Since the launch the Gemini sub has undergone exhaustive testing both in the UK and France. From the development of Gemini and the evaluation of all the systems, SUBEO Ltd has developed its Aquarius Vehicle. These vehicles are now available for purchase in various specifications depending upon customer requirements and budget.